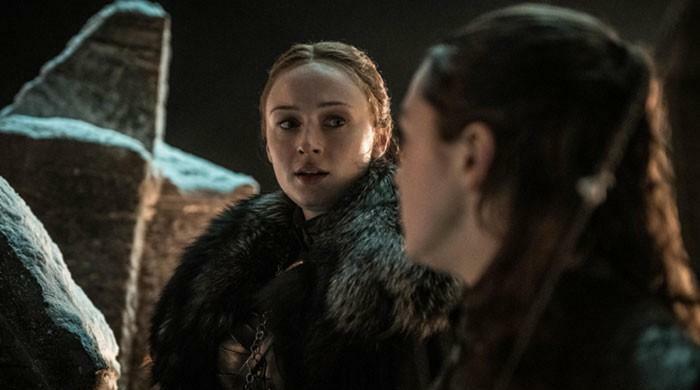 CANNES: Lebanese actor Manal Issa used the massive spotlight on the premiere of Solo: A Star Wars Story to draw attention to the Israeli army’s killing of Palestinians on the Gaza border a day earlier. Issa held a sign that read “Stop the Attack on Gaza” as she walked the red carpet ahead of the film’s premiere. The Han Solo spin-off Solo: A Star Wars Story touched down Tuesday at the Cannes Film Festival. Sixty people were killed on Monday, according to the Palestinian Health Ministry, by Israeli gunfire or tear gas, in what Palestinian authorities called a massacre of protesters on the day the United States opened its embassy in contested Jerusalem. 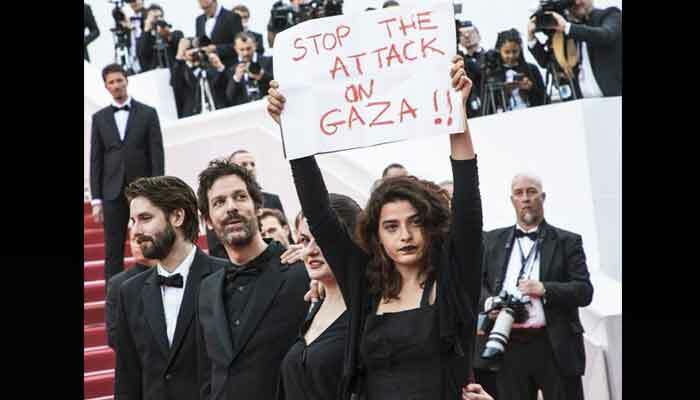 Hollywood actor Benicio del Toro also joined Palestinians at the Cannes Film Festival on Tuesday in a demonstration against the Israeli army’s massacre. In Cannes, southern France, dozens of people stood in a circle and held hands outside the Palestinian pavilion. “It’s really crazy to be here with the films, with the filmmakers, talking about our future plans while our kids and families are suffering from the Israeli attack on them,” said Palestinian film producer and director, May Odeh. It is the first year that the Palestinians have their own pavilion at the Cannes festival where many countries have a presence to promote their movie industries.